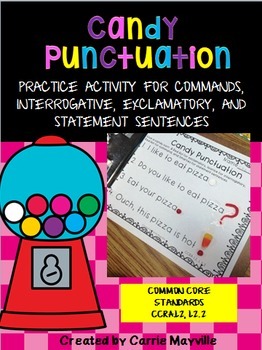 A fun way to practice punctuation and cover Common Core Standards. Students will love this hands on learning activity. Practice commands, interrogative, exclamatory, and statement sentences with a bottle of glue plus Red Hots, licorice,candy corn, and Smarties.